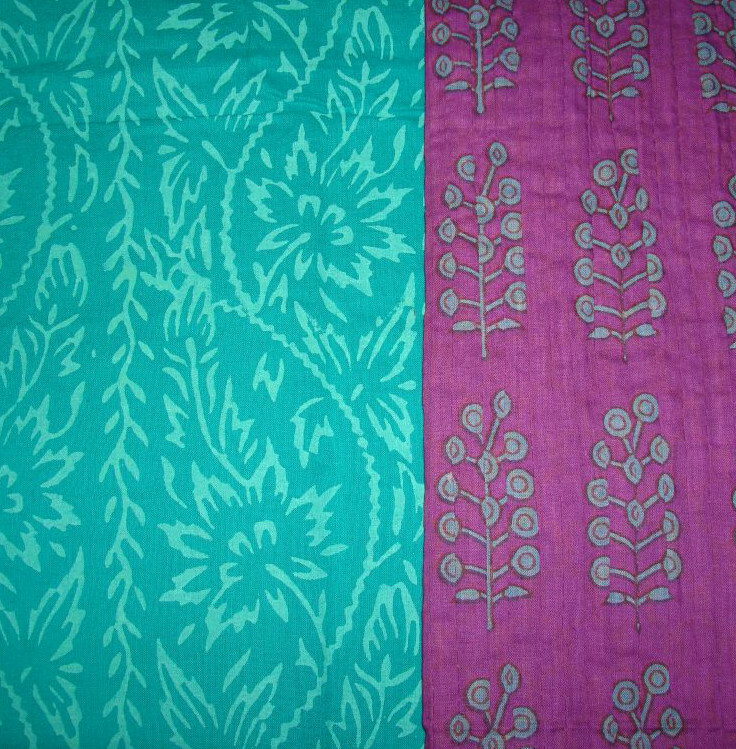 The tunic fabrics are block printed cottons. The violet fabric for the sleeves was pin-tucked. 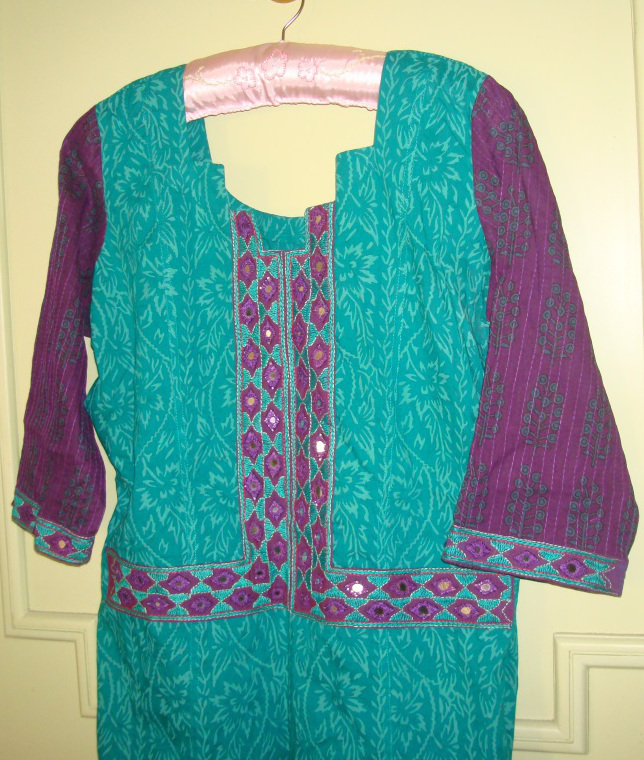 The embroidery was based on two elements, a tunic I saw on the net, which had heavily printed borders in the front and sleeves and Balushi embroidery from Pakistan. 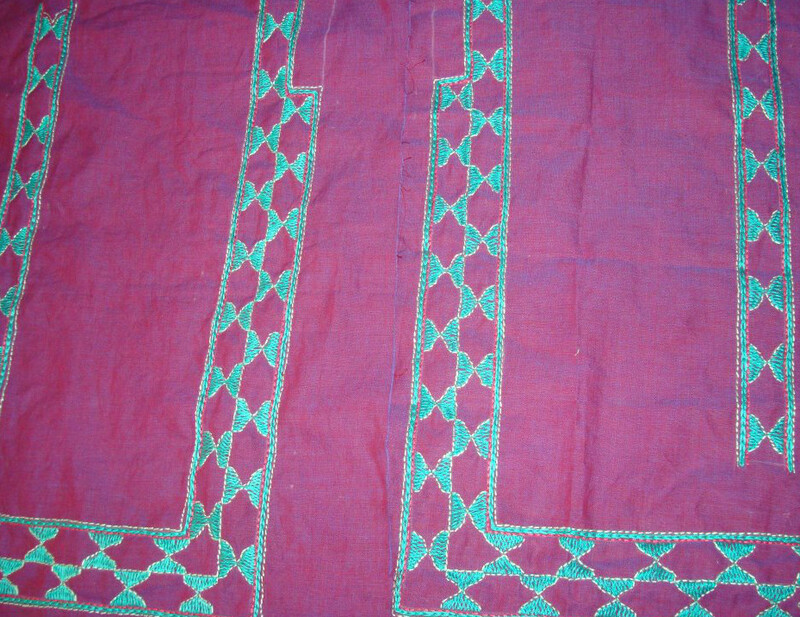 The Balushi embroidery patterns with mirror work are very different from this pattern. I just mix and matched along the fabrics the two ideas. 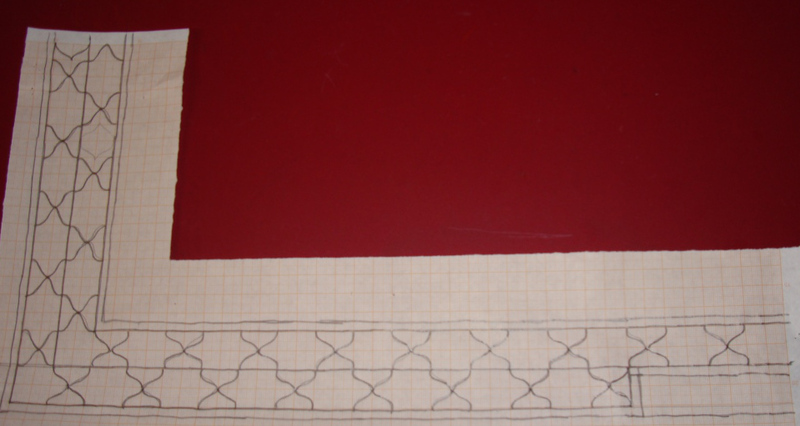 The pattern for the front, the same border was used for the sleeves. 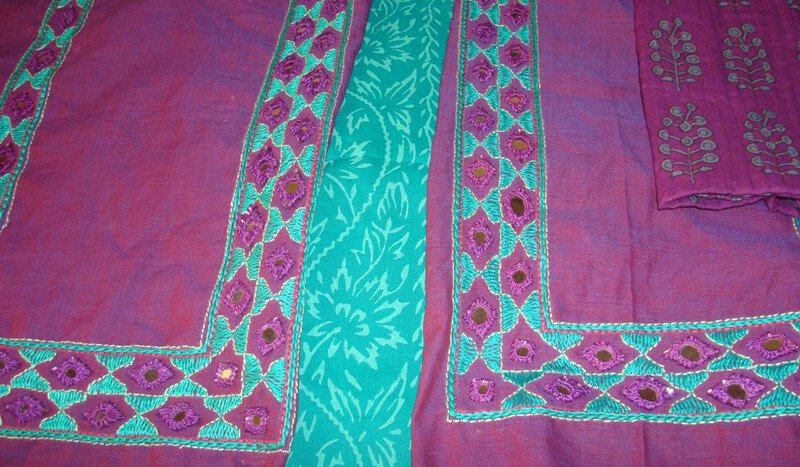 The embroidery work before working the mirrors in violet thread. Diamond mirrors are worked into the spaces between the embroidery. I feel the contrasts- fabrics, prints are quite intimidating, and the tunic fits the label of –gypsy costume!